We present to you a brand new set of catalogues of our products for the year 2019. Get to know our Stone Sinks, Freestanding Stone Bathtubs, Pebble Tiles, River Stone Sinks bathroom inspiration catalougues. 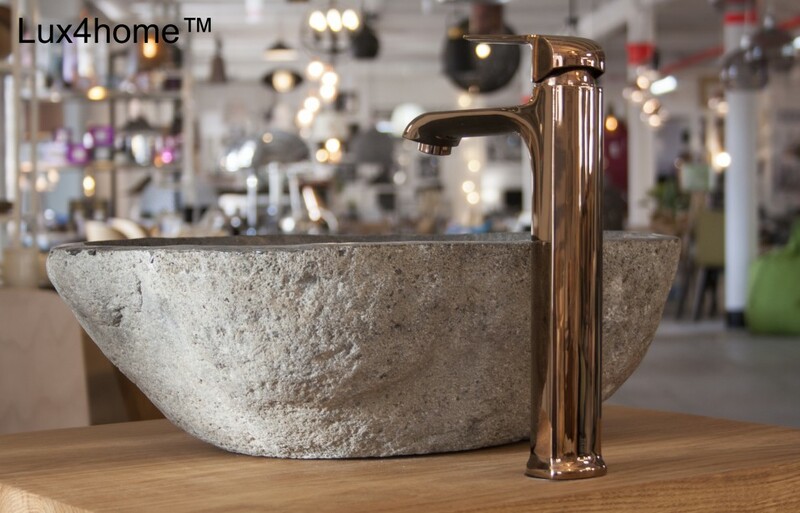 Lux4home™ Stone Wash Basins on International Interiors Show IMM Cologne 2018. As the only ones in the world we boast of such pictures. 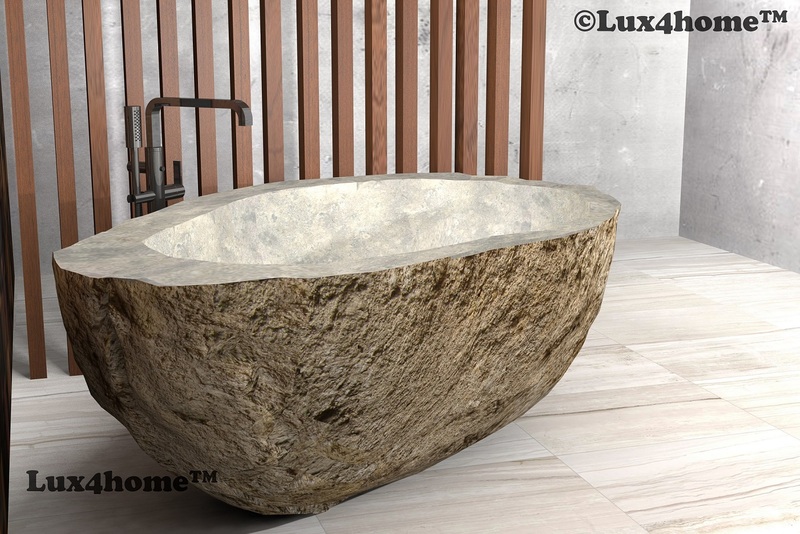 Best natural stone bathtubs manufactured by Lux4home™ in Indonesia. Natural stone baths Flumen are produced very carefully, precisely and with great experience. We take care of every detail because our customers expect it. It is not a secret that river stone sink can transform any bathroom into unique and spectacular interior. You have already recognized pebble tiles as brilliant idea for covering walls and floors in bathrooms, living rooms, spa centers etc. Did you however know that pebble tiles produced by lux4home can be placed outdoors too? We have shown you by now variety colors of pebbles covering facades, fences, or even swimming pools. But have you seen anything like this? Artificial river in the middle of city square. Krakow has found out the beauty of natural stone and it’s so much easier to find the interior which can delight you with its charm. One of these places is the hotel which is located on Bracka street, You can find there bathrooms with some products made by Lux4home. Please look how beautiful it looks. You can easily notice black pebble borders on walls, and beige pebbles on floor. You must admit they look great together with unique sinks and brick wall. How to make your bathroom luxury and unique? When remodelling your bathroom you often consider variety of floor tiles, wall mosaics with different patterns, designs, and materials. There is a lot of to choose from e.g. glass, ceramic, stone or even wood tiles. But do you take as much attention to the sink as well? Marble black pedestal sink Inspite of whole salers, we work ith hundrets of architects and iterior designers all over the world. They use stone sinks, bathtubs, and stone mosaics we produce with their commercial and residental projects all over the globe. Please have a look at this black marble pedestal sink with of Lux4home™ blended into the interior of the bathroom by one of them. Unique pedestal stone sink How many times have your clients been looking for some unique and unrepeatable bathroom equipment? Have you already faced this problem? There is great solution given by Lux4home! Marble Kitchen sink Lux4home, in spite of many bathroom building materials, like wall claddings, marble tiles or bathtubs, also produces kitchen furniture e.g. sink San Marino cream marble sink. Illuminated onyx sinks. 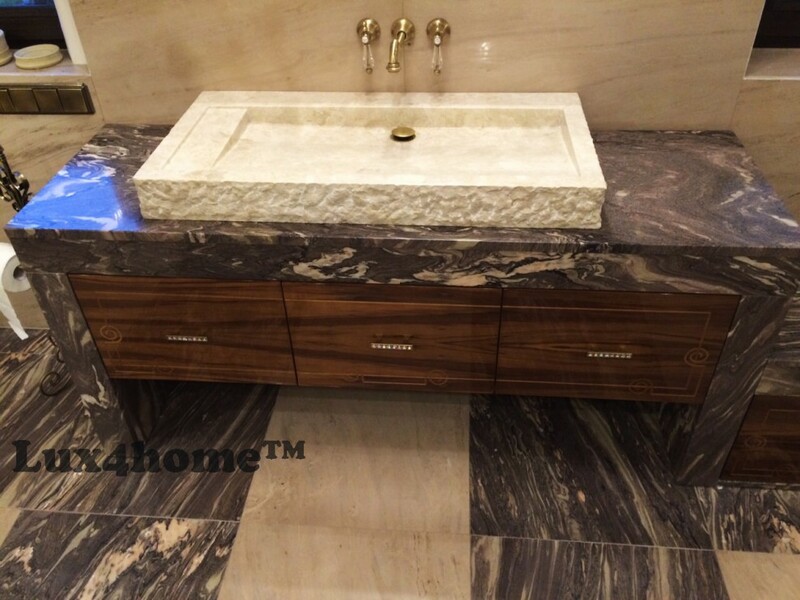 Pedestal Hammered stone sinks by Lux4home™ are the very first in Europe made all of onyx. More demanding clients, who look for unrepeatable solutions, know that onyx can be illuminated, & so can these sinks. See more.